(NaturalNews) The result of a study published in theArchives of Internal Medicinefinds that statin use in postmenopausal women significantly increases the risk of developing diabetes. In spite of this damning evidence, researchers do not recommend that the American Diabetes Association guidelines for primary and secondary prevention should be changed. Statins account for hundreds of billions in pharmaceutical sales each year, and there is scant evidence they do anything to promote cardiovascular or overall health. In addition to contributing to muscle wasting and metabolic imbalance, this research provides yet another reason to avoid this energy-sapping class of drug. Health-conscious individuals avoid pharmaceuticals at all costs, and there is now compelling research to suggest that everyone should seriously question taking statins to prevent an unnecessary risk of diabetes. Dr. Annie L. Culver and her team from the Rochester Methodist Hospital, Mayo Clinic in Minnesota analyzed data from the national, multi-year Women’s Health Initiative (WHI) to garner results for this study. Researchers analyzed data to include 153,840 women without diabetes with an average age of 63 years. Statin use was assessed at enrollment and again in year three. At the outset, 7 percent of the women reported taking a statin medication. A deeper analysis of the data found that diabetes incidence increased in this cohort of postmenopausal women by 71 percent. Amazingly, the result of this study has received no media attention. The scant coverage that has been published fully discounts the additional risk burden and continues to tout the ‘heart-healthy’ benefits of statin use. The real truth is that statins are anti-energy by core means of operation. Any time you reduce the energy function of a cell you reduce the ability of that cell to burn calories as fuel. Low cellular energy function creates metabolic inefficiency and insulin resistance, with increased fatigue and eventually type 2 diabetes. Statins are a recipe for metabolic disaster, yet millions of unsuspecting women and men continue to blindly swallow these ‘magic pills’ in the belief that they can continue to consume a poor diet and have full immunity against heart disease and a host of other chronic illnesses ascribed to statin use. The evidence is in and it couldn’t be clearer for those individuals with the will to listen and the desire to dramatically lower their risk of becoming diabetic. 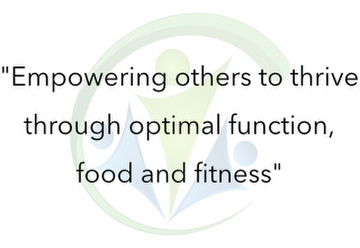 John Phillip is a Health Researcher and Author who writes regularly on the cutting edge use of diet, lifestyle modifications and targeted supplementation to enhance and improve the quality and length of life. John is the author of ‘Your Healthy Weight Loss Plan’, a comprehensive EBook explaining how to use Diet, Exercise, Mind and Targeted Supplementation to achieve your weight loss goal. VisitMy Optimal Health Resourceto continue reading the latest health news updates, and to download your Free 48 page copy of ‘Your Healthy Weight Loss Plan’.